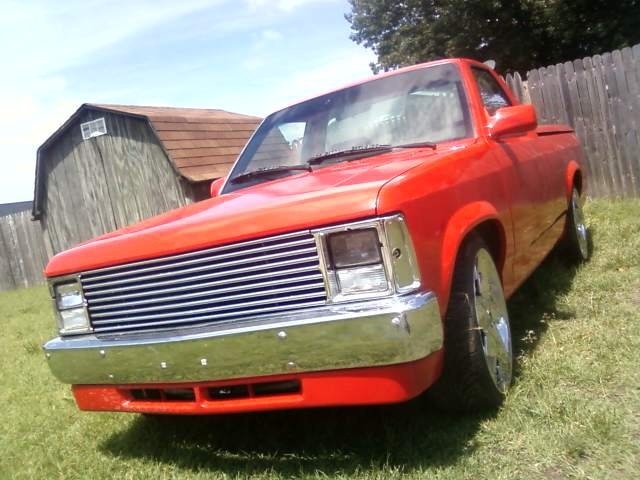 Have you driven a 1987 Dodge Dakota? 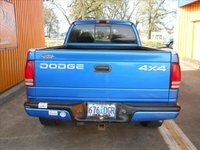 Displaying all 9 1987 Dodge Dakota reviews. Love This Truck — I have owned my dakota for 4 years now and i am in love with it. I had bought it off a family member who had had it since it was new. This thing has never left me stranded and because it is a carburated engine it is easy to work on. The 4wd works awsome in the winter. Probably The Best Small Truck Of Its Era — i own a 1987 Dakota, 2wd, 3.9L V6, 5spd. very nicely kept little truck, not a thing wrong with the interior. the body has 1 spot of rust about the size of your palm (now bondo and paint) has been a really nice little truck for me. i enjoy the power of the 3.9 v6, it actually doesnt do bad and i guarantee it would kill the ranger or s10 in a race lol. it is completly stock under the hood and it has alot of torque. overall a nice little truck! very Tough! You Do Anything To My Truck, I'll Cut Off Your Hand After Smashing Your Fingers With A 2lb Handhamer — For a 25 year old pickup with a carberated 4 cylinder with a 5 speed, I get 27 mpg in-town since a engine rebuild. I have gone over this with a fine tooth comb and have this looking and running great. Cons: sometimes I can't find the exact part I want or need so I have to make dur with custom fabing my own parts sometimes. Good Small Truck — I really liked my truck. Mine had the 2.2L 4 banger in it, and a 5 speed manual. I drove that truck EVERYWHERE a truck could not go,a nd was never able to kill it. My truck was wrecked twice,a nd fixed up. The electrical was a mess on it. Performance - Ok I guess. 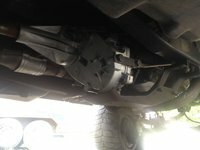 The truck had a lot of problems, but that is why I only paid $200 for it. The truck got really good (32 MPG) gas mileage until I put the 31"s on it. The engine was impossible to kill. I went all over with that thing,a nd if you did not stall it it would go Build Quality - Good. Never did rust, and the engine was really good. Appearance - Crappy. Hood had to much slope, and the bed was way to long for the size of the truck. the stock 14" wheels where way to small for the wheel wells. Cost Of Ownership - Parts where cheap and easy to find. Got good gas milage until I put big tires on it. Fun Facter - WAY FUN!!! Truck was unstopable. I Recommend This Truck, But In A Later Year With No Carbouretor — I bought this truck in South Carolina and towed it up to NY. There is not a spot of rust on it, but the clear coat on the hood and roof are rather faded. I bought P235 Goodyear Wranglers and the truck looks 10x better. it sits up higher and the white letters look nice. I have had problems with the choke and it seems to be running waaaaay too rich. ive almost stalled a few times in an intersection. the motor is underpowered for getting 12 mpg, but it seems to be running a little bit better after messing with the idle speed. all in all its a great truck. 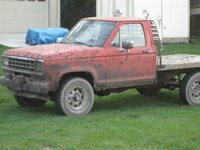 Mopar — this truck is great i bought it for $400, 2 years ago and it has not left me stranded yet, its great. i painted it and lowered it. i want to do something with the motor cuz its REALLY slow but thats something thats going to have to wait till i get a little more money, can you say small block? 5.2 Litre With A 750 Holley Carb And Lumpy Cam. — was originally a V-6. the thing gave me more problems than any other car, but was pretty fun. Never Own Again — gutless. back fired and always died leaving me stranded. it looked decent and is still driving around. i begged the hell out of that poor truck. i hate dodge it was cheap and a set of wheels except i walked more then i drove it.